Australians love to gamble. Statistical studies of gambling habits have revealed that 80% of all Australians engage in some form of gambling. That’s the highest rate of gambling participation in the world. Generally, the laws and regulations controlling gambling are fairly liberal but not in the straightforward way the UK regulates the industry. In Australia, the gambling industry is regulated by a patchwork of state and federal agencies making it hard for citizens to know what is and isn’t permitted under the law. Another problem is that Australian politicians will occasionally make gambling a ‘political football’. Some politicians insist that any further expansion of gambling in Australia must be prohibited (even though the market says otherwise). Others rail against particular games or gambling types with little in the way of evidence of ‘harms’. At one point, remote wagering was the scapegoat. It then became spread betting and more recently ‘in-play’ betting. It’s not really clear why in-play betting is the problem but it’s more a case where certain elements opposed to the industry grab at the latest innovation as particularly ‘evil’. Understanding the ins and outs of Australian gambling law is a full time job. Here’s the simple version: Land based casinos and gambling are regulated at the state level. For that reason, the offerings vary from state to state. In one form or another, most of the common types of betting are legal. Sports betting is legal and offered by Tabcorp in Victoria, New South Wales and the Australian Capital Territory and other companies elsewhere. The important thing to remember is that in one form or another most types of land based gambling are available in Australia. Even more confusing is the online gambling regulations in Australia. Online gambling is regulated at the Federal level via the Interactive Gambling Act of 2001 which made it illegal to advertise or provide real money online gambling services to the citizens of Australia. Note that these laws apply only to Australian based companies. There are some online gaming companies operating in Australia legally due to a variety of loopholes in the law. These are subject to further regulation under gaming law—for example, ‘in play’ wagering was recently made illegal via the Internet but not by telephone. Additionally, online gambling businesses are allowed to operate in Australia and market their services to the rest of the world. They have to operate under Australian law, however, and so they can’t offer in-play wagering even to players outside of the country. That means that the only real impact of the Interactive Gambling Act is to undermine the ability of Australian based companies to compete with other sports books from around the world. Here’s the good news—nothing in Australian gaming regulation makes it illegal for a citizen to place a bet online. Even though Australian based and licensed sportsbooks are not allowed to provide betting services to citizens but they have access to every major online sportsbook in the world. This includes the UK based sportsbooks like Bet365 and William Hill that are considered to be the ‘gold standard’ of the industry. More good news for Australian bettors—gambling is considered a ‘recreational activity’ and winnings are not subject to taxation. 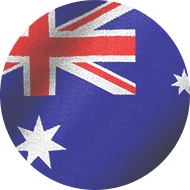 The bottom line for Australian bettors is that despite the aforementioned legislation and regulation they have it good compared to much of the world. Unlike in the United States, where citizens don’t have a problem giving away their freedoms for the false illusion in security that doesn’t play well in Australia. Most politicians know that targeting Australian gamblers would be suicide for their careers. For that reason, they limit their regulatory efforts to the companies that provide gaming services.